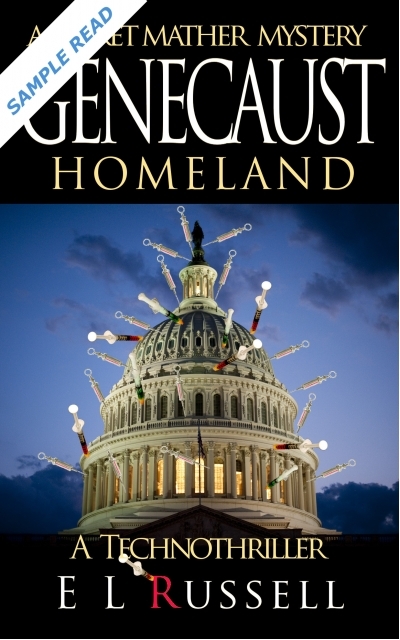 GENECAUST, 1st in a series of Technothrillers, is a 135,000 word Novel about a massive biochemical attack in the Middle East. To find the people behind the plot, SA GRANGER HAWKING is taken captive. MERET MATHER, a microbiologist aids in his return and discovers the attack is a test for another attack on the Homeland and she struggles to uncover its mission. Meret has just created a Genomic consulting company and works with the CIA to thwart the attack and rescue Granger. Together they discover the next attack is aimed at our Homeland. The advent of CRISPR-cas9 ended what started as Science Fiction and has became a Technothriller. By definition, a Genecaust is the targeting and murdering specific groups of people or individuals by identifying existing, or engineered, genetic markers.